Shelly Hansel will be the new Mayor of Wellington. With almost all the votes in she had a substantial lead with 656 votes. Kelly Green was second at 423 and Tami Klinedinst had 283. Mark Hafield had 44 and Jazzy Pettegrew had 36. The numbers will change slightly and the vote will not be official until Monday morning of next week. Hansel said it felt “surreal,” as she celebrated with friends at supporters at Rocco’s in Wellington Tuesday night. 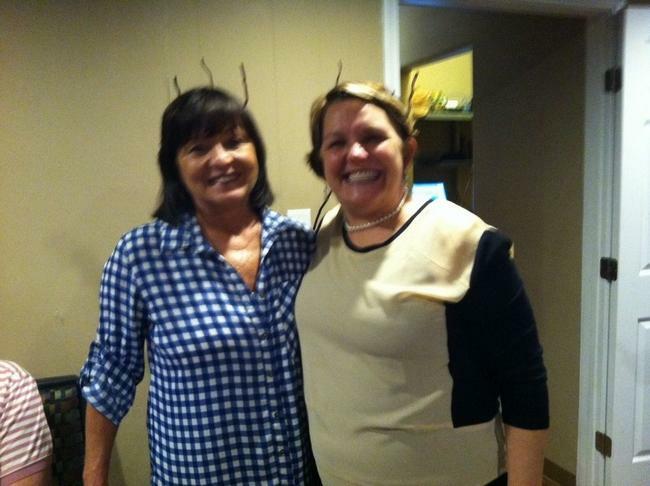 Her sister, Pat Zeka, also won a school board race and was at the celebration. “The last two years I have been in a leadership program with the chamber, and I have been encouraging everyone to run for office. When I heard Roger Stallbaumer wasn’t running for re-election, I thought it was time for me to step up,” she said. She said she is excited for the opportunity. Hansel said while she was chamber director for 10 years, at times that felt like an elected position. “Now that the vote is over, I am looking forward to working with everyone. We need to come together as a community. We need to get everyone involved, especially those that are not normally involved,” she said. While she was elated at the win, she said she also appreciated the experience of running. She has been a TV journalist, and has covered many elections, but it was her first time to run for anything. “I Felt like I ran a good race, The people spoke. I know other people got a lot of votes, and I hope I can win those people over,” she said. Current council member Kelly Green won her council seat and finished second in the mayor’s race. “I was a little disappointed, but the people have spoken. They wanted me back on the council instead, and I am please to do that,” she said. She noted that several people asked her about why she was running for both positions. She said often people see the mayor’s job as a figure head type position, and she was interested in taking it up a notch. She said he hopes to get back to work now on the council, and continue to work on the various projects she and the council have been working on. Tami Klinedinst was also making her first run for office and finished third. “I did the best I could. It was a good experience. I have grown a lot in the last few months while running for office,” she said. She is on the planning commission and plans to stay involved with the city.